Inspiring the Future is a free service which will see people from all sectors and professions volunteering to go into state schools and colleges to talk about their jobs, careers, and the education routes they took. Everyone from CEOs to apprentices can volunteer for Inspiring the Future. Recent graduates, school leavers and people in the early stages of their career can be inspirational to teenagers – being close in age they are easy to relate to; while senior staff have a wealth of knowledge and experience to share. Talking with young people in a school or college can make a real difference to their perceptions of what jobs are available, and it may inspire them to consider options that they had previously never thought about. Talking to working professionals can also help them get a realistic view on the different routes into jobs and careers, and the current labour market. Working with the Department for Business, Innovation and Skills Enterprise Champions Programme, one aim will be to get 2,500 to visit schools/colleges and talk with young people about being self employed. During 2012 the menu of options available will be extended to cover activities like mentoring, numeracy and literacy help, and work experience. 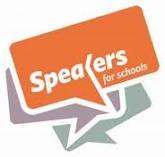 Speakers for Schools was launched the week of 10 October 2011 with a series of talks in state secondary schools and colleges around England. It is the idea of BBC Business Editor, Robert Peston, who wants young people in disadvantaged state schools and colleges to have the same opportunities as those who attend top independent schools to hear from eminent, inspirational speakers. Speakers who took part during launch week included: George Alagiah (BBC News), William Boyd (author), Damon Buffini (business leader), Sir Suma Chakrabarti (Ministry of Justice), Marcus Davey (Roundhouse theatre), Martha Lane Fox (founder Lastminute .com), Andy Haldane (Bank of England), Julia Hobsbawm (media entrepreneur) , Laurence Hollingworth (J.P. Morgan,) Ruby McGregor-Smith (FTSE 250 CEO), Sir John Parker (Royal Academy of Engineering) , Robert Peston (BBC), Trevor Phillips, (Equality & Human Rights Commission), Dame Marjorie Scardino (Pearson), Philipp Schindler (Google), Lord Rees (Astronomer Royal) and Baroness Vadera (former cabinet minister). Also taking part from the world of government and politics were: David Cameron, Nick Clegg and Ed Miliband. Posted by convergence on November 28, 2011 in Adverts, News and tagged news, schools, speakers, volunteering.